In the beginning of this year Hourglass discontinued their very much loved duos and palette and released something which looks... interesting and out of this world. Everybody wondered how these would perform. Taking advantage of an early release I have reviewed one of the neutral palettes of the line called Infinity. Although I liked it, I was not quiet convinced with its soft powdery qualities. It was so soft that one of the shade broke during the transportation. Months later, I decided to give Hourglass Modernist Eye Shadow Palettes one more try thanks to a swap I had with lovely Husa from Instagram. Today I would like to start with the warm neutrals, Obscura. I will also review the plummy Exposure soon. 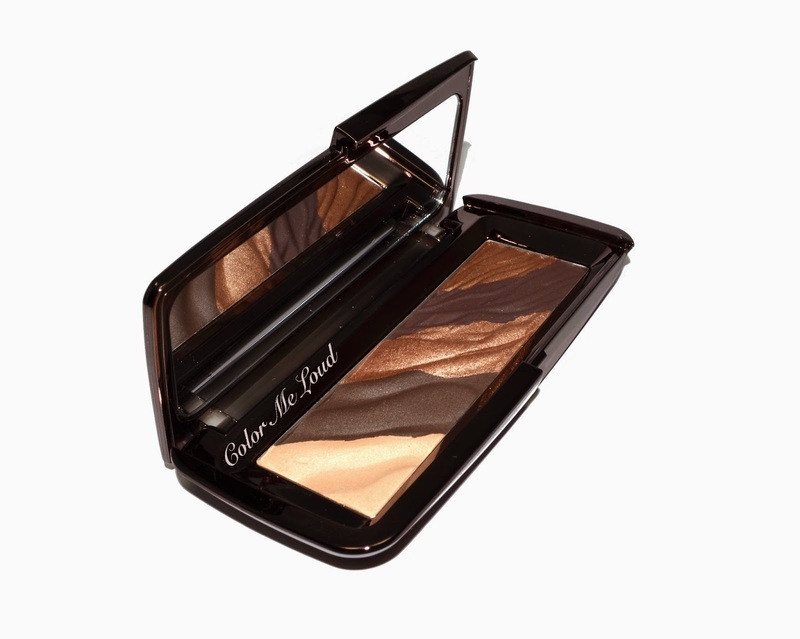 Hourglass Modernist Eye Shadow Palette Obscura is the warm neutral lover's dream, copper, gold and two types of browns as well as a base shade to make it blend easier. It has again that "wow effect" once you open the compact. I really like the design although some reported that they prefer separated pan, I find this one to be a very modern take on the concept. The wavy structure doesn't make it easier or harder to pick up the shades so I am indifferent to that. Once you come over the watching phase and want to touch and feel a few of the eye shadows, you might be very disappointed. As you run your fingers on the surface, they feel very loosely pressed and powdery. Although we all like the soft feel while swatching, this is feels almost a little too soft. Once you transfer what your finger picked up, it looks even worse, mostly because of the wavy structure and your fingers not being able to touch the powder evenly. I am happy to report though, these problems doesn't exist once you start working with a dense brush on the eyes. Leftmost: a light neutral beig with satin to matte finish. This is almost the same shade as my skin so you can't see at the swatches below. Second from left: A cool deep brown with satin finish. This one reminds me of MAC Brun which I use as a definition color almost with anything. Middle: A gorgeous shimmery warm gold. I love this one all over the eye lid, The shimmer is complex and doesn't look frosty nor linear in any way. Second from right: A very deep plummy brown with satin to matte finish. This is a great shade with perfect color pay off. Rightmost: A mid toned copper with very complex shimmer. This one has an interesting texture, it feels a little glittery but the glitters are rather fine if that makes sense. Very gorgeous shade indeed. I combined this eye look with the middle shade of Hourglass Lightening Blush Palette, which gives that sort of glow which made me reconsider my less than stellar review on those. 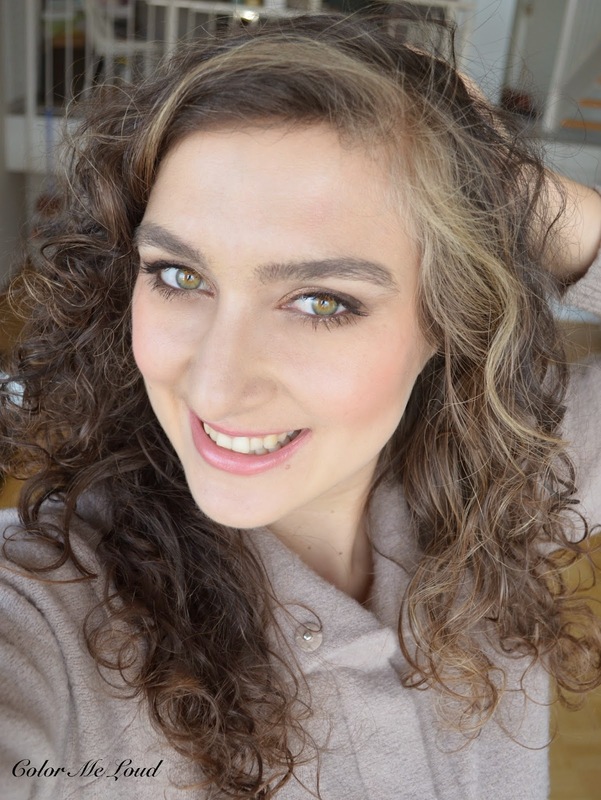 I am also wearing Urban Decay Revolution Lipstick in Naked which I am loving at the moment. 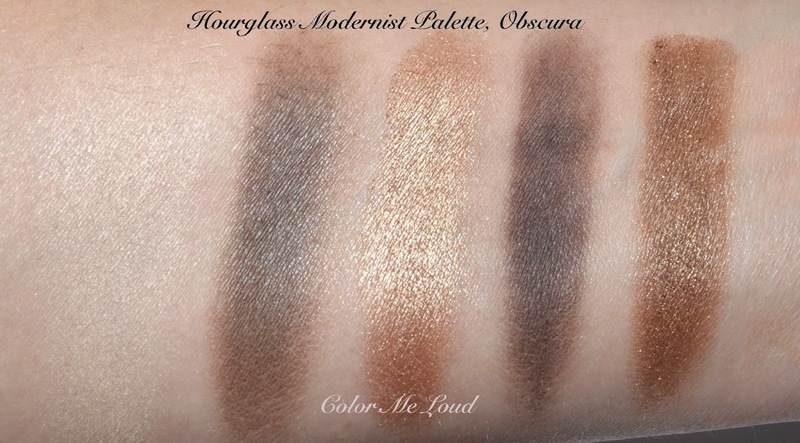 After swatching and testing Hourglass Modernist Eye Shadow Palette in Obscura, I knew I had something very similar in my stash. If you have Dior 5 Couleurs Cuir Cannage, probably you don't need Obscura since they are almost the same once applied on the eyes. I don't like Dior's eye shadow formula at the moment. Although Cuir Cannage is one of the best they have, when in doubt, I would prefer Obscura. Here is a one last look to Obscura. I like the shade selection in this one more than I liked Infinity. The shades are a little deeper so they are more there. Also this palette has a nice lustre Infinity was lacking in my book. Although I like matte eye shadows, sometimes once they are too matte or all matte but nothing else in a palette, I find them boring. Obscura is a little powdery once swatched but applies nicely on the eyes. 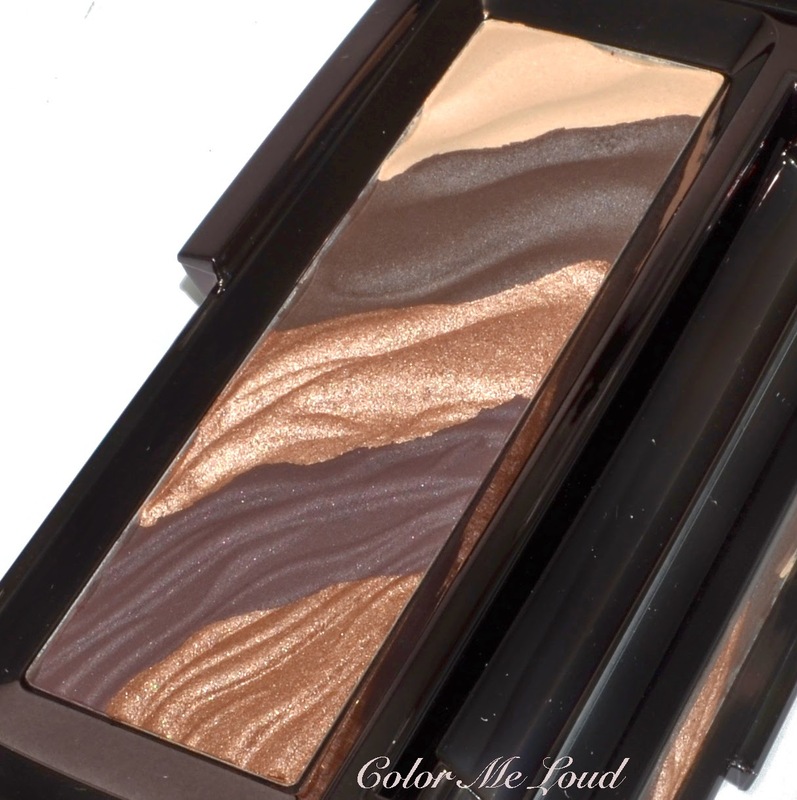 Final thoughts: I was a little undecided with Infinity but I am happy to say that I like Obscura much more since it gives me the complex shimmer qualities which makes a high-end palette worth its price. It is a little powdery. If you are very sensitive to that, it might not be for you. I found that it applies beautifully with natural bristle brushes. It doesn't provide any fall out and lasts long. 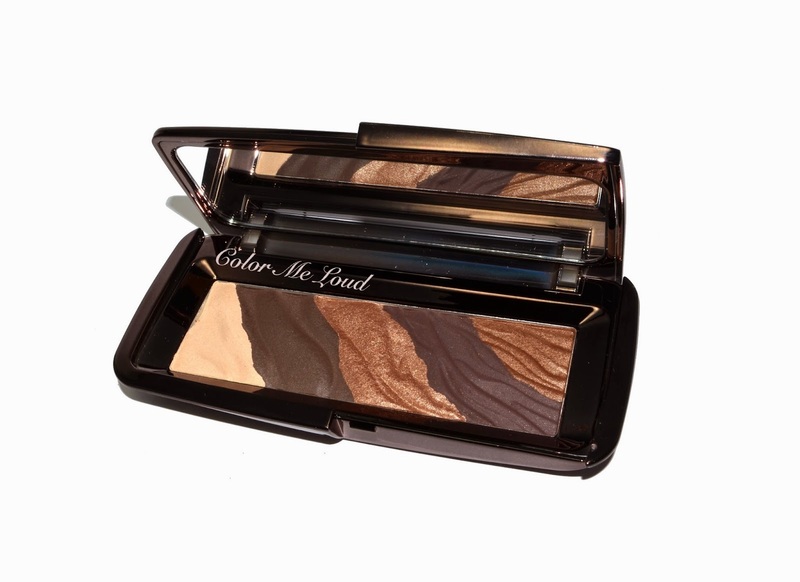 Have you tried Hourglass Modernist Eyeshadow Palettes? Love or hate? Hey Sara, I'm glad to hear you like this more than Infinity! It is rather similar to Cuir Cannage tho, so I think I will skip. I have Color Field and I like it, so I will be waiting for your review of the plum one and see if I need that, too! These palettes are pretty, but I can't understand why Hourglass went for a design with no divisions between the shades. It seems like the pan would get messy before long! Oh Sara, i KNEW you'd love this palette! It's just like Cognac Sable isn't it? I feel like Joey (from Friends) when faced with Rachel's Trifle... plummy brown - gooood, copper - great!, gold - LOVE!!! I have read so many conflicting reviews on these Hourglass palettes in general and I have been hesitant to get any of them. I like Obscura more than Infinity for sure. I wonder how the purple one will perform! just wait a few more days, I will review Exposure too. Yes loving Urband Decay lipstick, my first one lol. I think I might be the last person on earth who haven't tried an UD lipstick before but they are really nice. Have you tried them? Obscur is definitely dupable, you are right. do you have this one? If not you should get it lol. Cognac Sable doesn't work on me, I don't know why. I personally like Cuir Cannage and Obscur more. Since those don't have the glitter shade but regular coppers, they are more wearable to me. plum one is coming up, I think the eye shadow palettes are fine. The formula is a little unusual so it the pan, I mean, look no pan pan lol, this is why there are all kinds of voices around. I am confused myself about to love or not to love it. Oh I only tried them very recently as well! There was a promotion at John Lewis that I could not resist sometime ago. I have Streak, which is rather lovely! I am now eyeing Obsessed but can't make up my mind if it's too pink for me! 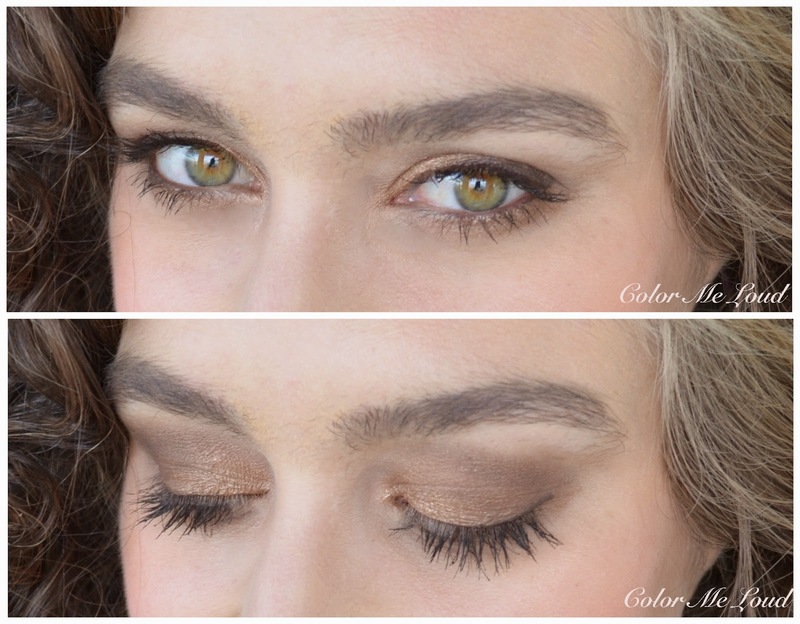 I think if you know how to deal with those type of eye shadows, it is very pigmented and nice. I especially like the dimension of the shimmery shades. We know that some of the high end brands release very linear shimmer, this one deserves the price in this aspect. we never have problem in finding something pretty to get right?